The Year End Sales Event is still on but you only have until 2nd January 2018 to grab any of these items before they disappear forever! Stocks are limited so get in quick. And remember to check the CLEARANCE RACK for some super bargains there too! 2. 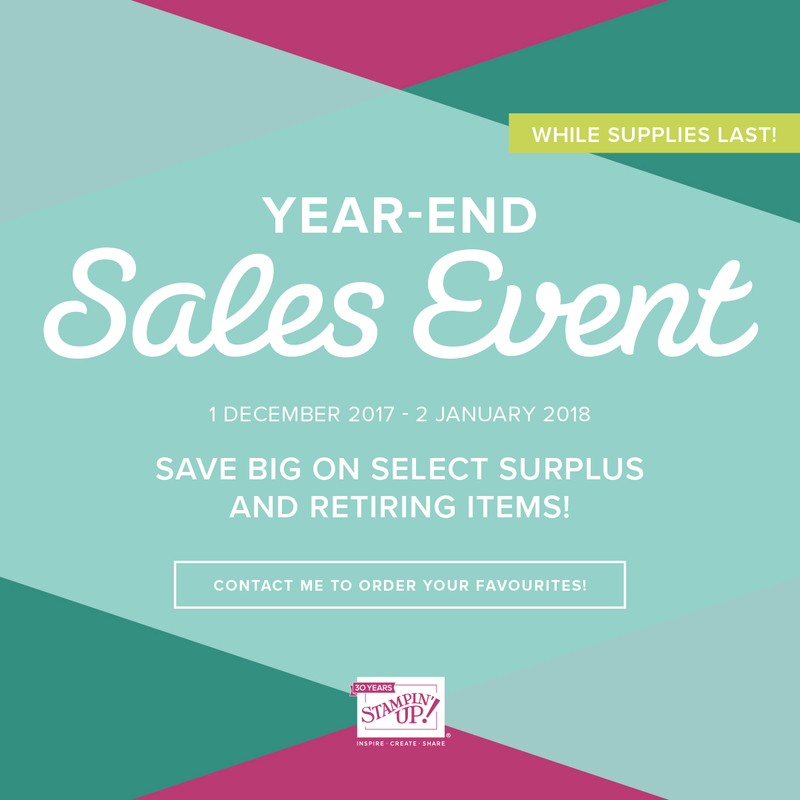 Year End Sales Event finishes 2nd January 2018. 3. 2018 Occasions Catalogue and Sale-a-bration commences 3rd January 2018.